Today I have written a post for Tania Sullivan at Larger Family Life. It is entitled Big and Small after the CBeebies programme. Her family is the Big - 13 and counting - what with 11 children (!!! ), her husband (who shes' still madly in love with - as if that wasn't obvious) as well as her Dad living with them. We - technically - are the Small - just the three of us. People are naturally curious about larger families nowadays - to the extent Tania has written a book to answer all of our constant questions. It is called 'Larger Family.' Plus she has also written another called 'Twin Pregnancy Diary.' No guesses there as to why or how that one came about - they are her babies of only a few months! 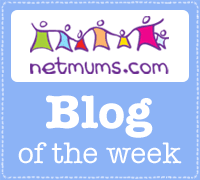 There are some snippets you can read, as well as info about the blog, which has grown into something of a resource for all families since it was created in 2008 HERE. It is a family run business, offering an unlimited variety of topics including home education, days out, plenty of giveaways, competitions and reviews. All profits from their books are going towards a campaign they are currently supporting to help the child of a Soldier and family friend - Help Oliver Walk. Please add your support if you can. Big and Small, Courtesy CBeebies. Thank you for guest posting for Larger Family Life. It's been a privilege and an honour for us to have you write for us! You're most welcome. It has been a privilege and an honour to write for you. Looking forward to your return spot! Just found your blog. 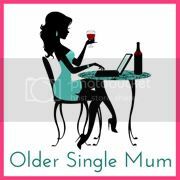 I am also an older single Mum - a choice I made by adopting. It makes me smile seeing different peoples reaction to the 'single mum' bit. They definitely expect an uneducated 19 year old to pop up! Hello adoptandkeepcalm. Thank you for coming. Glad you agree. Am off to have a look round yours! Great post, have commented there too. Just goes to show that even a small family can be loud and boisterous and full of love. Having the students sounds brilliant, great for you, great for the children. Hello CW - thank you for saying that - yes, the boys really benefit from more younger people about!